It's beginning to look a lot like Christmas... in my Etsy shop! I have just started to get things ready for the holidays. 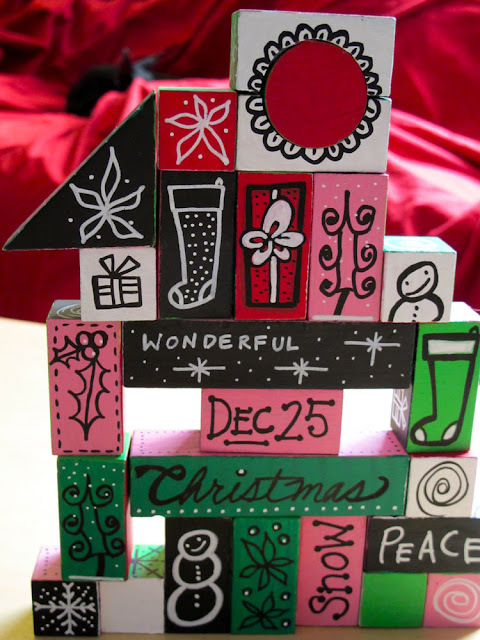 First up, I took some plain wooden blocks and painted fun holiday designs all over them. 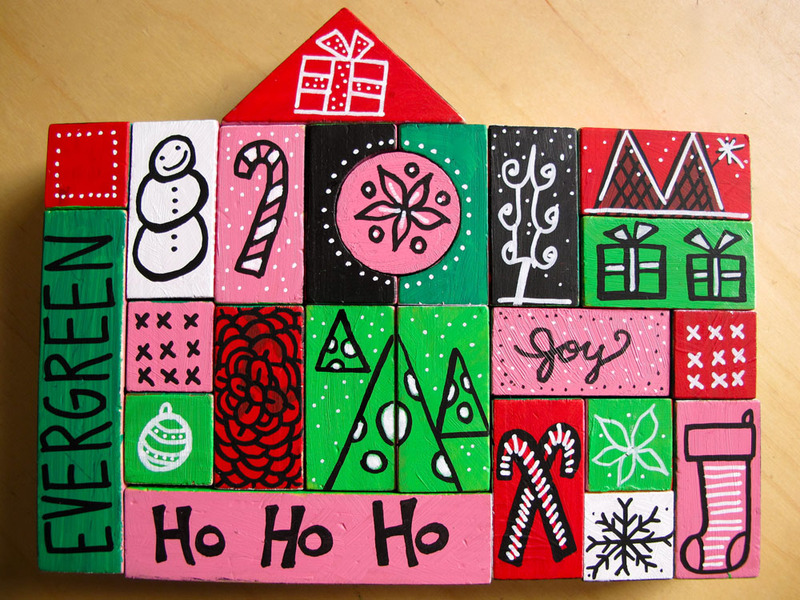 I painted each side of the blocks a different color... black, white, pink, red, pale green, and dark green. Then using paint pens I doodled fun designs on some of the sides. I had a great time thinking about designs that felt like the holidays to me, but in a really graphic way. Little snowmen, trees, and snowflakes. And I knew they'd look adorable on a tabletop... but I didn't know how addictive it would be to play with them. I can arrange and re-arrange them for days! Depending on which colors you have facing forward, it's a whole new look.... pink and green... red and white... black and red... it's really fun! I have three sets of blocks now available in my Etsy shop. Have fun!